The second week of my time in America was spent in San Francisco, or at least the Bay area. I was staying and working in Palo Alto most of the week, a city about an hour from SF by car, which meant that I did a bit of hotel hopping and spent one night in the city before heading down to PA. I flew down from Seattle on Saturday, and the highlight of my flight was by far this great instructional flight video by Virgin America - complete with robot rap. 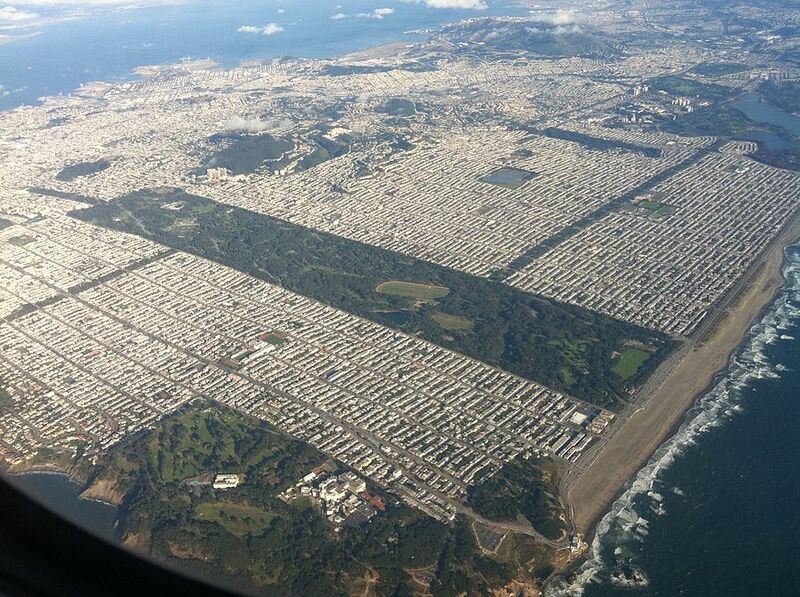 I spent my first afternoon in San Fran checking out Golden Gate Park and the Haight Ashbury area. Haight Ashbury is the equivalent of Newtown or Melbourne in Australia - brimming with hipsters. 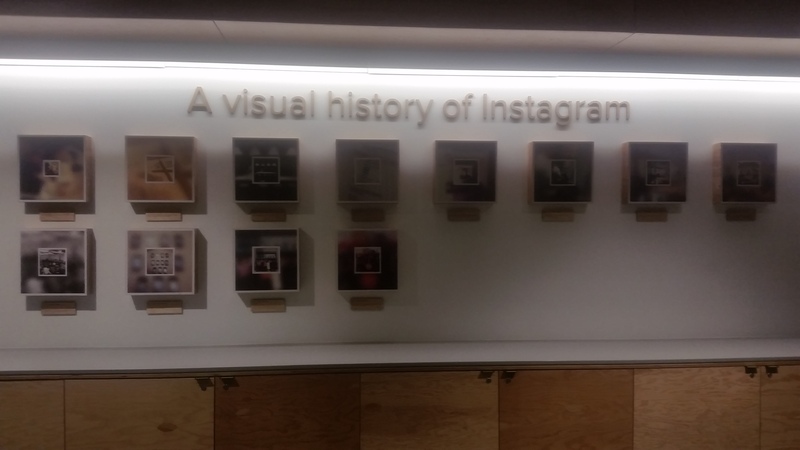 I think it's actually ground zero for hipsters and hipsterkind, one of the cultural centres of the US and by extension the world. Golden Gate Park is a gigantic rectangular park in the middle of SF, with quite a few interesting locations inside it - it's over 1000 acres of public land, so there's more than enough room for activities. 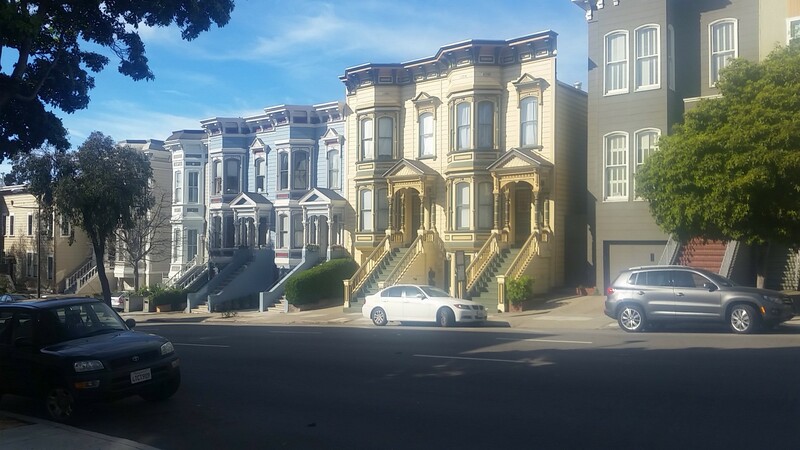 I went on a walking tour of a suburb called Pacific Heights the next day. It was full of Victorian and Edwardian era architecture, you can see below a photo of a few houses of the 'Slanted-bay Italianate' style of architecture. Each street looked pretty much like this, with very similar house fronts in a row all down the street. Our guide was telling us about how developers would buy and develop the whole block with identical houses like these, and then to give a touch of individuality they would alternate details along the house fronts. One might have more detailed paneling at the lip of the roof, then you'd see it repeated every 2 or 3 houses down the street. Continuing the theme of minor differences between US/AU, they do their house numbering in a much more sensible way than we do. The houses will have numbers like 1904, 2101, where the first two digits are the block number and the last two are the house number. You can immediately tell from the number of any house whether you are on the right block or not, very useful. 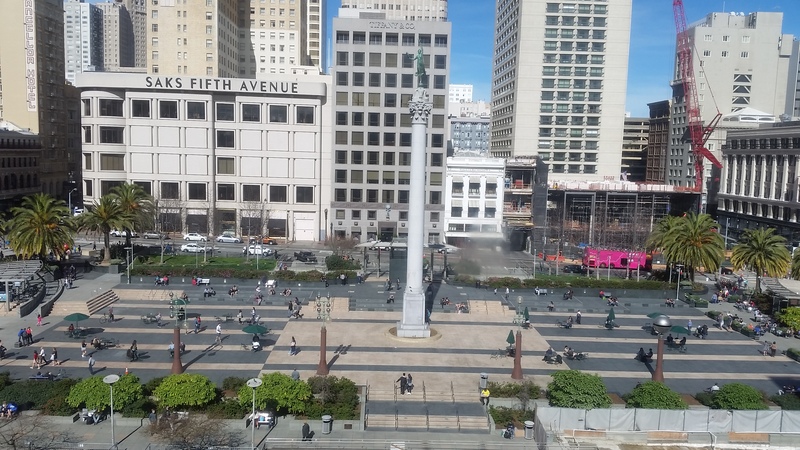 Finished off my weekend in SF with a classic 'murican meal of burgers and fries overlooking Union Square. 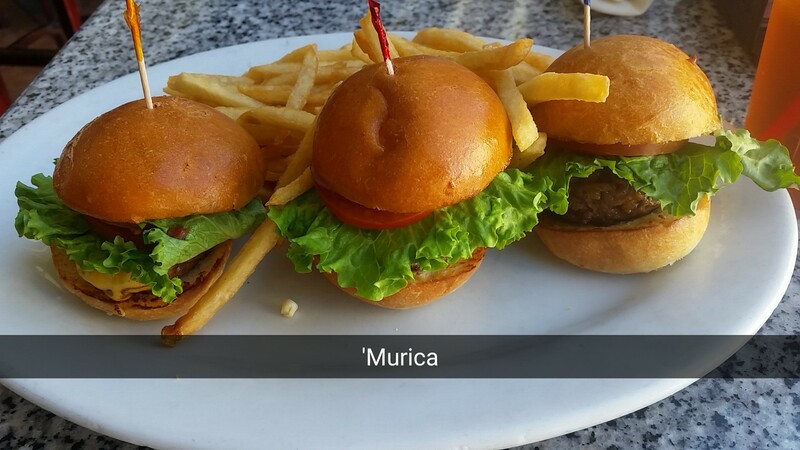 I know you're probably thinking those aren't burgers, they're sliders. I know - this is SF, so it's the hipster version of burgers. 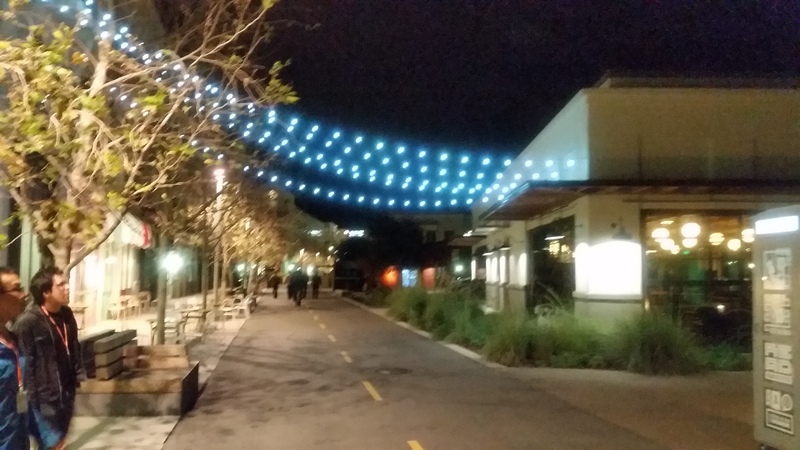 The rest of the week was spent out in Palo Alto. 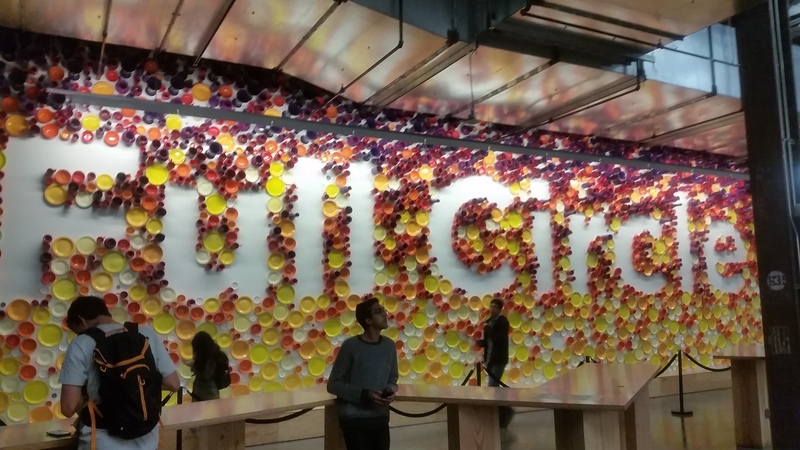 I did get the chance to tour the Facebook and Google headquarters, thanks to a friend (thanks Owen!) that I met on exchange a few years ago. 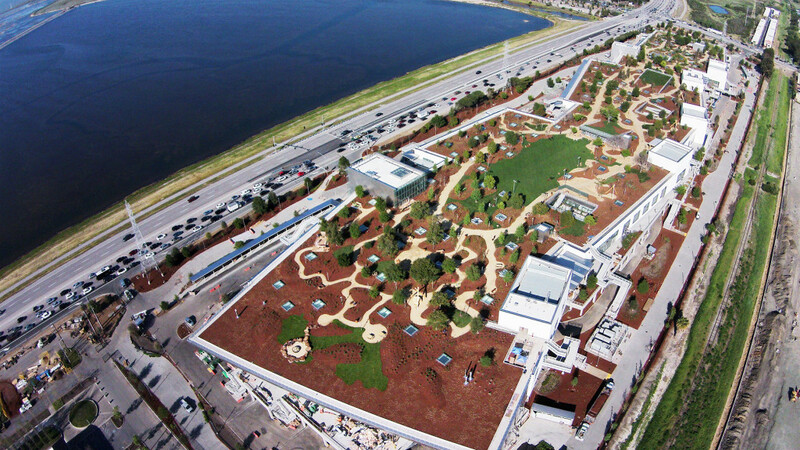 Facebook was crazy - they have an old campus and a new campus. New campus is one gigantic building with a single floor (pic below) raised on supports. It's split into different 'Zones' so that you can actually find other people inside it, and the entire underneath of the building (ground level, where the supports are) is a huge car park. Inside there are all sorts of amenities, from restaurants, laundry rooms, gyms, nap rooms, etc etc. If that wasn't enough there's also old campus, which used to be the SUN Microsystems campus. It's made out like a little village, complete with shops of all descriptions - there's cafe's, an arcade, restaurants, a candy shop/dessert bar. It's all totally free to employees though, so we stopped through a few places and helped ourselves to some ice cream as well. 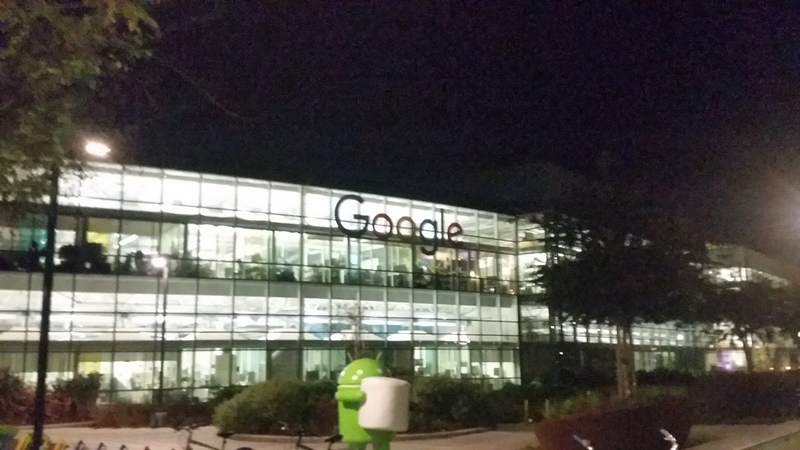 I think they even have Google beat on perks - not that you should ever choose a workplace based on the perks. 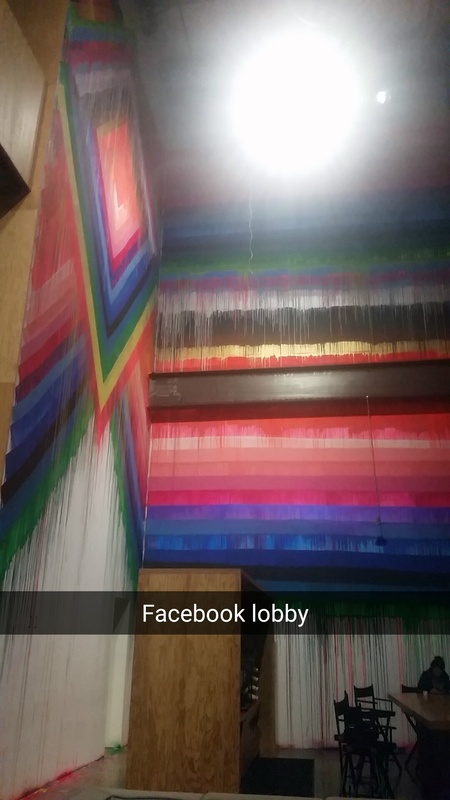 Pics below are respectively, the lobby, the Newsfeed area, Full Circle, which is the Facebook restaurant (look closely and you'll notice the words are made out of plates), the Facebook village and outside the candy store, and the Instagram building lobby. They also have this cool interactive globe on the wall in one of the buildings - I forget which - that shows connections between different countries in real time. I took a short video of a friend 'interacting' with it. Got to bike around Google on the Google bikes as well (The google bikes are google branded bikes that are just lying around campus free to use - apparently about a third of them get stolen yearly). This was about the time my phone went flat so I didn't take many photos, but below you can see the logo on one of the main buildings. 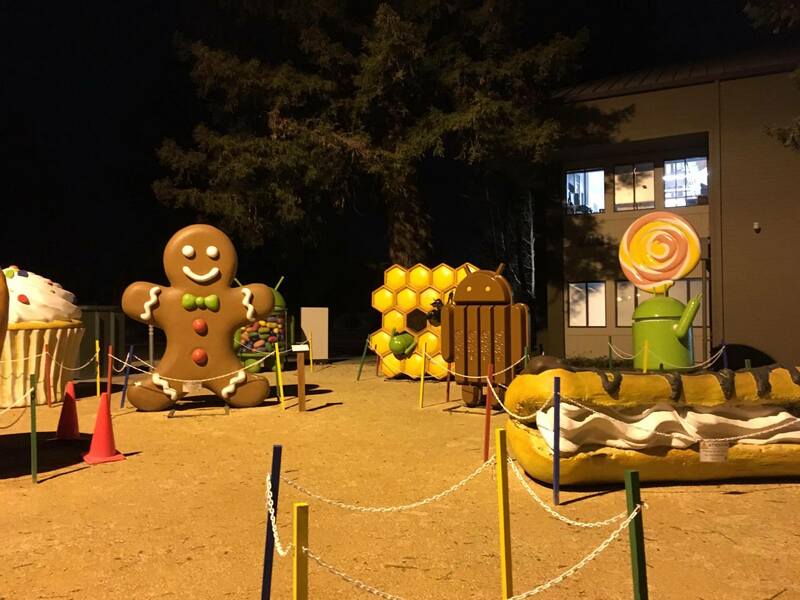 This is the Android Garden, where there are sculptures representing each version of Android that has released so far. 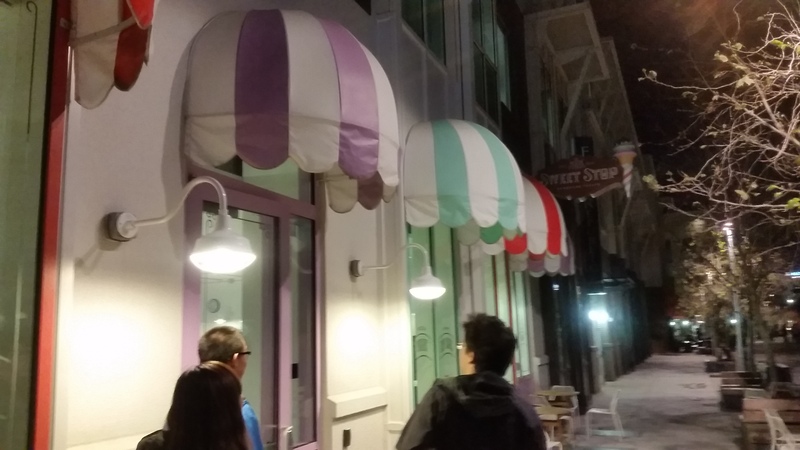 There's a naming scheme based on candy - Cupcake, Donut, Eclair, Froyo, Gingerbread, Honeycomb, Ice Cream Sandwich, Jellybean, Kit Kat, Lollipop, Marshmellow. 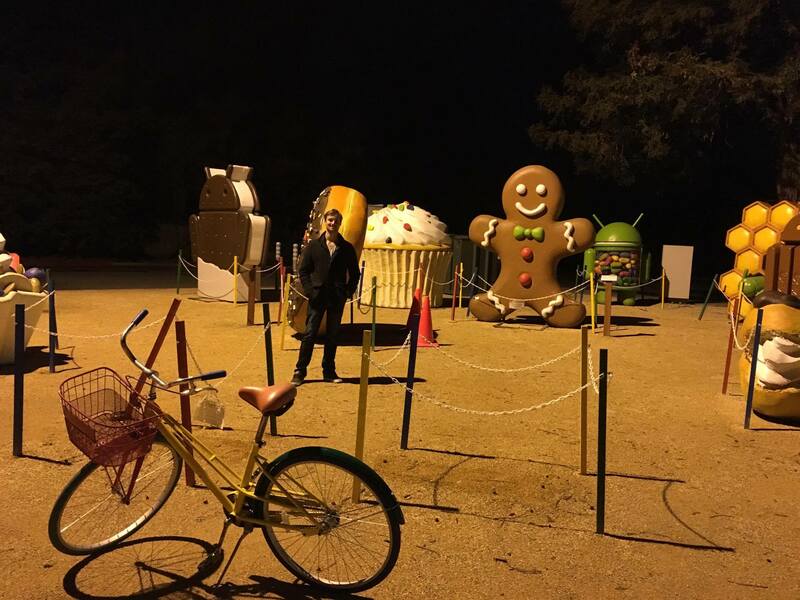 The currently released version of Android has it's statue outside the Android building (see Marshmallow, above), and the rest get retired to this garden. 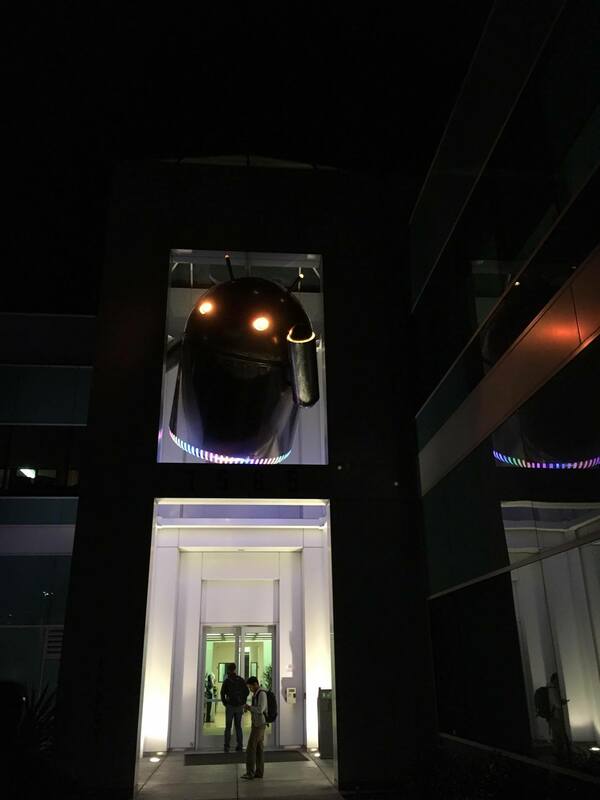 Speaking of the Android building, they have this creepy little guy hanging out over their entrance. We also had this awesome robot in our hotel that delivered treats late at night. Below is a video my coworker took. I finished the week at work and flew back to Sydney on the Friday afternoon (19/02). San Fran was just as fun if not moreso than Seattle, and I could see myself living in either in future - they're both tech hotspots with heaps of opportunity.